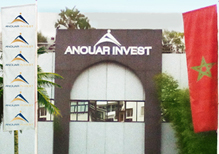 Ever since its creation, in 1994, Anouar Invest seeks to serve the interest of the consumers and its clients. Rigor, serious and compliance with the quality standards constitute our daily concern. Thanks to this excellency duty and to the professionalism of our staff, we enjoy a positive image among the large pubic. The constant evolution of Anouar Invest translated into multiple acquisitions, in trendy sectors of the Moroccan Market. Our holding has become today a reference in his approach of the economy in the Kingdom. Our multi-sector expertise offers extraordinary growth levers. The needs of consumers, clients and partners are the heart of our reflexions. 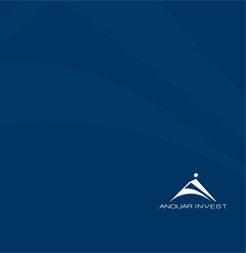 Anouar Invest is steadily anticipated and answering to, as good as possible the challenges facing the Moroccan economy, in a way as to contribute to its development. Proud of its evolution, the hodling intends to consolidate its leading position on the national market, with one single motto : ethics and fundamental values.